Why are Complete Kits Important? You can build a radical engine by combining parts made by different manufactures but you really have know what your doing! The same thing is true when it comes to suspension parts. Phone ringing: Hello this is tech how can I help you? Man I got a real problem, I lowered my truck and it’s low and I like that, it looks pretty good and I like that, but I can’t get the front end to align and it rides like crap, I don’t like that! (Tech) how did you lower it? Well I been saving and shopin for awhile and got great deals on a set of spindles, then I went down a little more with some coils and later decided to slam it by adding control arms. Then I put in a flip kit and added lowered leafs and shackles to get the back slammed, how can I fix it so I get a good ride and not destroy my tires? 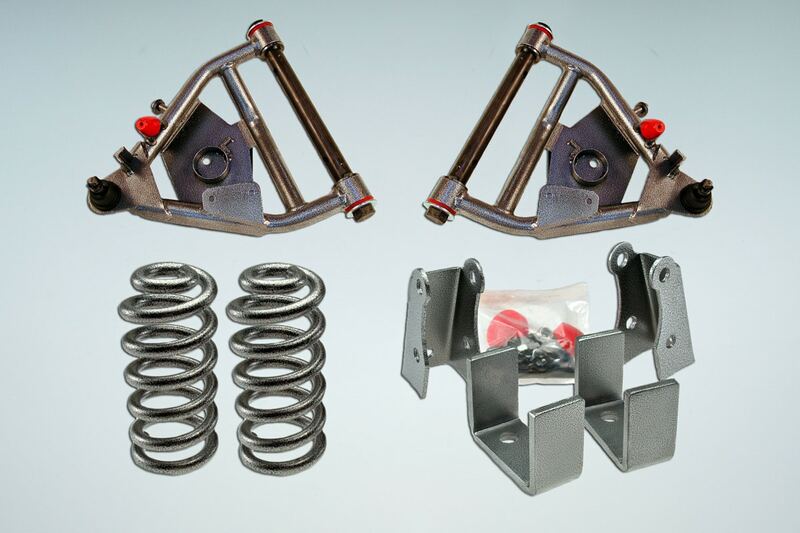 Advanced installers and experienced shops have done enough suspension work to know which parts you can combine without bad side effects to get “the look”. And really their knowledge came from doing it wrong sometime in the past. So if you want to do your own work and your not an expert seriously consider buying a complete suspension kit. The parts in kits are designed to work together in an optimum way, with out nasty surprises, and you should not have to buy any other parts to finish your job and get to driving around! While it is fun to fool around in the garage it’s more fun to drive around!! Click on the images to enlarge for better viewing!